How do I setup iPlum app on my device? Download iPlum app from iTunes or Google Play Store. Open the app. 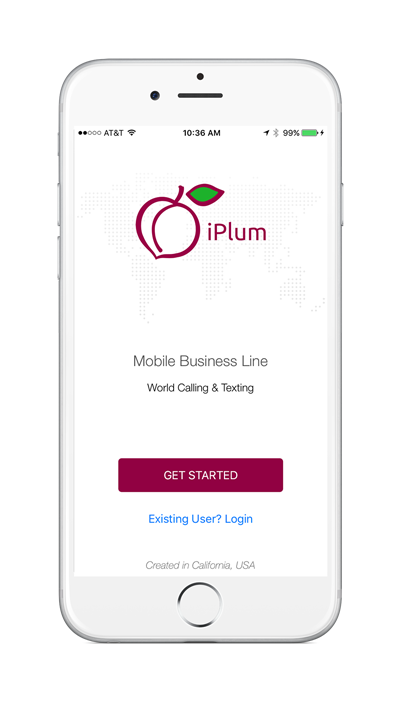 iPlum will request access to your Contacts, Microphone, Notifications etc. Enable the permissions for correct functioning of the app. For first time account setup, enter your phone number. Existing users can simply select Login. Enter the verification code which you will receive via text or phone call. Enter your name, email and choose a password. How to buy iPlum online? How to buy iPlum using In-App purchase? How to setup iPlum business team account? How to setup call-forwarding from iPlum number to an external domestic or international number? How to port my existing number to iPlum? How to block numbers from calling my iPlum?